sjhoward.co.uk » Photo-a-day 260: Testing testing, 123! Photo-a-day 260: Testing testing, 123! Published on 16 September 2012. 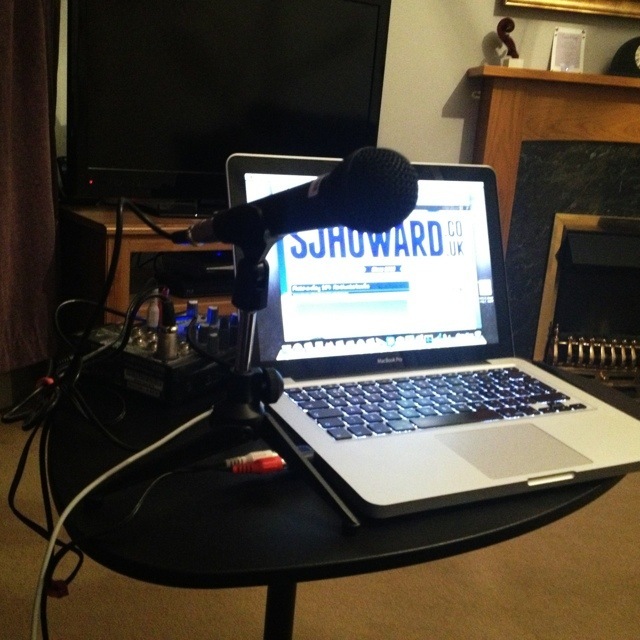 This is the fairly simple set up I use when I record for Calibre – and, since I started recording for Calibre, it’s also the set up I use when recording for The Pod Delusion. I’ve just finished a book for Calibre today – just shy of 12 hours of audio in total. I hope my voice doesn’t start to irritate people after the first half hour or so…! This 1,812th post was filed under: Photo-a-day 2012.